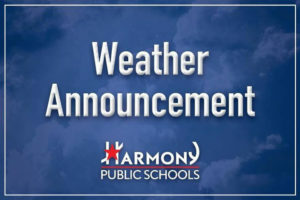 Harmony Science Academy Beaumont will be closed Tuesday and Wednesday – January 16 and 17, due to inclement weather and the potential for hazardous road conditions. School should resume Thursday at normal time. We will provide updates as they become available. Stay safe and warm!